Literary Overdose: Is Four Too Many? It's Family Weekend at Twin A's college and we're hitting the road again. I wanted to write a quick Sunday Salon-type post before leaving, and last night's twitter conversation provided just the spark I needed. It began as an impromptu meeting of the Stewart O'Nan fan club (@LitHousewife, @mattviews, and I seem to be the charter members), then several others joined in and our conversation broadened. At some point during the rapidly flying tweets, someone mentioned that they usually read three books by an author before moving on. I thought that was very interesting....why three instead of two? What happens if you read four in a row - author burnout? Soon I began thinking about my own reading habits and notorious lack of structure and rules. Looking back over the past year, I have spent extended periods with two authors - Richard Yates and Stewart O'Nan. In both cases, strangely enough, it would appear that I followed the same three book rule. A couple of years ago, I read Revolutionary Road. I thought it was brilliant and have been meaning to return to Yates ever since. I finally did last spring - in a big way. My personal Yatesfest began with The Easter Parade and continued with Disturbing the Peace and Cold Spring Harbor. The grand finale was A Tragic Honesty: The Life and Work of Richard Yates by Blake Bailey. Several short stories were also scattered along the way. I plan to read the remainder of Yates work, but after three novels and a biography, a break from his tragic reality was in order. 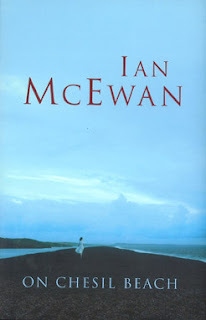 My author 'discovery' of the year, Stewart O'Nan, was next. I absolutely love his writing style and characters. A stormy Labor Day weekend was spent reading Wish You Were Here. The lakeside setting provided an ideal end-of-summer read. Emily, Alone featured many of the same characters and was the perfect follow-up. In total awe of O'Nan, I headed to the library and came home with Last Night At the Lobster... also stunning. That was three and, just as with Richard Yates, I decided to take a break. O'Nan's new novel will be released in January and is already in my amazon shopping cart for pre-order. This break will end in just a few months. So that's twice this year I've unintentionally followed the 'three book rule'. Is it some sort of intuitive reading reaction, or simply coincidence? Now I'm curious. When you delve into an author's work, how deep do you go before taking a breather? Is there such a thing as literary overdose? After Tuesday's Two-for-One Intros, it appears that Her Fearful Symmetry has 'won'. It's perfect for the season and, after 100 pages, I'm really enjoying it. However, On Chesil Beach has not been totally abandoned. I'll get back to it as soon I'm done. I finished the audio version of Stiff: The Curious Lives of Human Cadavers by Mary Roach and must say it is totally unlike anything I've ever read... in a weird but totally interesting kind of way. For our road trip today, I have downloaded Travels with Charley in Search of America by John Steinbeck and hope my husband and Twin B will agree to listen. 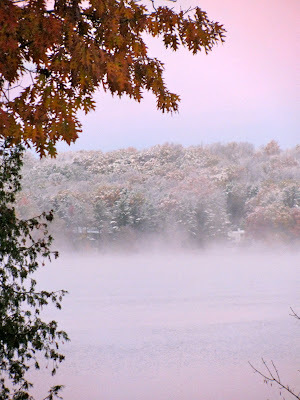 We had our first snowfall of the season yesterday. Although I'm not really looking forward to winter, the snow in the trees and mist rising from the lake made for a beautiful view this morning. Have a wonderful weekend! It was on this day in 1900 that Henry James wrote his first letter to the budding novelist Edith Wharton, beginning a long friendship. 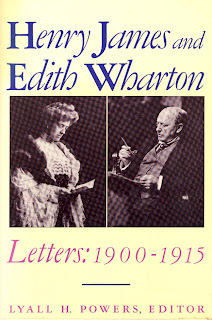 Wharton was an admirer of James's work, and she sent him one of the first short stories she ever wrote. He wrote back to say that he liked the story but that she shouldn't write about Europe if she didn't live there. He said, "Be tethered in native pastures, even if it reduces [you] to a back-yard in New York." His advice inspired her to write about the New York society she'd grown up in, and the result was The House of Mirth (1905), which became her first big success. They remained friends for the rest of James's life, but while Wharton became more successful, James's novels sold less and less well. When he learned that she'd used the proceeds from a recent book to buy herself a new car, he joked that he hoped his next book would provide enough money for him to buy a new wheelbarrow. But he always appreciated her friendship, and once wrote to her, "Your letters come into my damp desert here even as the odour of promiscuous spices ...might be wafted to some compromised oasis from a caravan of the Arabian nights." I don't usually do this. One book at a time is my rule - physical book, that is. 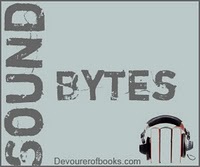 Audiobooks are different. I have no problem with two audios on the go, since each has its own place - one in the car and another on my iPod. Over the years I've experimented with reading two and three books at once. Selections typically included one fiction and one nonfiction title, plus a classic or long-term read. The trouble began when one book really captured my attention and I read it exclusively. In my mind it became the 'winner', and the 'losers' were left to languish on my nightstand. Clearly the other books weren't exactly losers, but I had a hard time getting back to the growing pile on the nightstand. Reading monogamy seemed to be the answer. "They were young, educated, and both virgins on this, their wedding night, and they lived in a time when a conversation about sexual difficulties was plainly impossible. But it is never easy. They had just sat down to supper in a tiny sitting room on the first floor of a Georgian inn. In the next room, visible through the open door, was a four-poster bed, rather narrow, whose bedcover was pure white and stretched startlingly smooth, as though by no human hand. Edward did not mention that he had never stayed in a hotel before, whereas Florence, after many trips as a child with her father, was an old hand. Superficially, they were in fine spirits. Their wedding, at St. Mary's, Oxford, had gone well; the service was decorous, the reception jolly, the send-off from school and college friends raucous and uplifting. Her parents had not condescended to his, as they had feared, and his mother had not significantly misbehaved, or completely forgotten the purpose of the occasion. 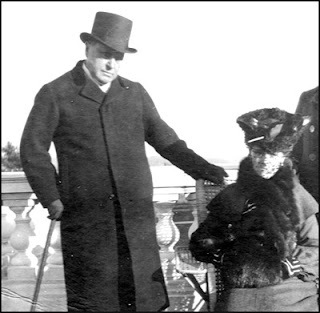 The couple had driven away in a small car belonging to Florence's mother and arrived in the early evening at their hotel on the Dorset coast in weather that was not perfect for mid-July or the circumstances, but entirely adequate: it was not raining, but nor was it quite warm enough, according to Florence, to eat outside on the terrace as they had hoped. Edward thought it was, but, polite to a fault, he would not think of contradicting her on such an evening." I started On Chesil Beach a few days ago. After fifty pages of beautiful writing and engaging characters, my mind began to wander. Last night, I allowed myself to start Her Fearful Symmetry too. Halloween week seems like the perfect time to read it! "Elspeth died while Robert was standing in front of a vending machine watching tea shoot into a small plastic cup. Later he would remember walking down the hospital corridor with the cup of horrible tea in his hand, alone under the fluorescent lights, retracing his steps to the room where Elspeth lay surrounded by machines. She had turned her head toward the door and her eyes were open; at first Robert thought she was conscious. In the seconds before she died, Elspeth remembered a day last spring when she and Robert had walked along a muddy path by the Thames in Kew Gardens. There was a smell of rotted leaves; it had been raining. Robert said, "We should have had kids," and Elspeth replied, "Don't be silly, sweet." She said it out loud, in the hospital room, but Robert wasn't there to hear." Do either of these first paragraphs appeal to you? I'm also wondering, if you read more than one book at a time, how you keep one title from 'winning'? My love of fall is no secret. Every year I look forward to the vibrant foliage, apple picking, football games, breaking out my sweaters, and, of course, the return of pumpkin spice lattes at Starbucks (always with a nod to Book Psmith). Fall is also the time of year I head back to the kitchen. Knowing of my particular fondness for pumpkin spice lattes, Audrey sent a recipe for Pumpkin Latte Coffee Cake. Better Homes & Gardens recipes are usually a success, and this looked like the perfect seasonal treat to bake for my next book club meeting. A 'test bake' on Thursday confirmed it. 1. Preheat oven to 350 degrees F. Grease a 13x9x2-inch baking pan; set aside. In a small bowl stir together two of the eggs and the espresso powder; set aside. In a medium bowl beat cream cheese with an electric mixer on medium speed until fluffy. Beat in the 2/3 cup sugar, the 2 tablespoons flour, and the vanilla until smooth. Beat in egg-espresso mixture; set aside. 2. In a medium bowl stir together the 3 cups flour, the baking powder, pumpkin pie spice, baking soda, and salt. Set aside. 3. In a large bowl beat butter with an electric mixer on medium speed for 30 seconds; gradually add the 1-1/2 cups sugar, beating until fluffy. Add the remaining three eggs, one at a time, beating well after each addition. 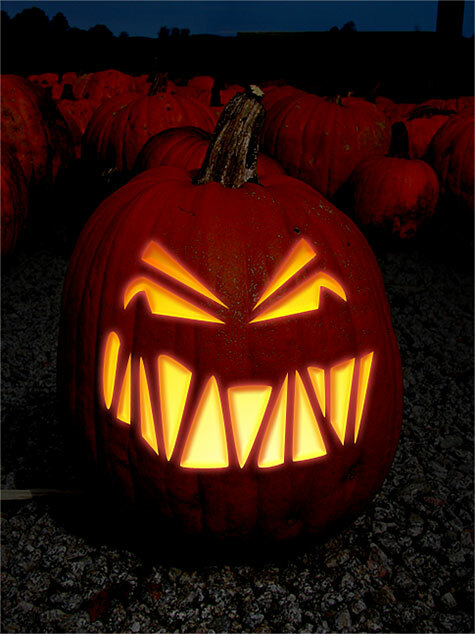 Beat in pumpkin. Alternately add flour mixture and buttermilk to pumpkin mixture, beating after each addition until combined. Spread half of the batter in the prepared baking pan. Spoon half of the cream cheese mixture by small spoonfuls on top of the batter. Add the remaining batter in spoonfuls; carefully spread over the cream cheese mixture. Top with spoonfuls of the remaining cream cheese mixture. With a knife, swirl batter to marble. Sprinkle with Coffee Streusel. 4. Bake in preheated oven for 45 to 50 minutes or until a toothpick inserted near center comes out clean. Cool in pan on a wire rack for 45 minutes. Spoon Coffee Drizzle over coffee cake in a lacy pattern. Cool completely on wire rack. In medium bowl bowl combine 1/2 cup packed brown sugar, 1/3 cup rolled oats, 1/4 cup all-purpose flour, and 1/2 teaspoon pumpkin pie spice. Using a pastry blender, cut in 1/4 cup cold butter until crumbly. Make Ahead Directions: Prepare as directed. Cool baked cake completely but do not spoon Coffee Drizzle over coffee cake. Wrap in foil; overwrap in plastic wrap. Freeze for up to 3 months. Thaw in the refrigerator overnight. To serve, top with Coffee Drizzle. *Test Kitchen Tip: To make 1 cup sour milk, place 1 tablespoon lemon juice or vinegar in a glass measuring cup. Add enough milk to make 1 cup total liquid; stir. Let stand for 5 minutes before using. This cake was delicious! The coffee/pumpkin flavor combination is amazing. Be forewarned though, this recipe uses a lot of bowls. It's also very filling, so cut pieces on the small side... you can always go back for more. My mother thought the cake might taste even better with nuts. I'll add pecans or walnuts next time and find out. 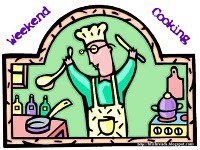 Weekend Cooking, hosted at Beth Fish Reads, is open to anyone who has any kind of food-related post to share: Book (novel, nonfiction) reviews, cookbook reviews, movie reviews, recipes, random thoughts, gadgets, fabulous quotations, photographs. If your post is even vaguely foodie, feel free to grab the button and link up over the weekend. Group reads satisfy on so many levels. For me, the increased sense of community is the biggest draw. Comparing progress notes with other readers on twitter is like running into a friend at Wegmans. Not only do these random updates add to my enjoyment, they strengthen friendships. Group reads also provide an opportunity to read a book I might not get to on my own. And finally, participating in a group read always leads to deeper understanding of the selected title. Other readers, without fail, pick up on things I barely notice. My main problem with group reads is timing. Often finishing just a little too late, I seem to lack the discipline other readers master so easily. By them time I'm ready to discuss, the group has moved on. Or else, as in the case of The House of the Seven Gables, I finish weeks ahead of schedule and struggle to pull my thoughts together at discussion time. The first chapters of The House of the Seven Gables required extraordinary concentration and effort. Whether it was Hawthorne's writing style or my own evening fatigue, I just couldn't get into the rhythm of the narrative and turned to an audio version for help. Anthony Heald's excellent narration carried me forward and I was able to follow the story with ease. The routine of listening in the car and reading at home allowed me to finish the book quickly. The atmosphere of the novel surely lends itself to the season: an old curse, supernatural occurrences, haunting, and family discord. 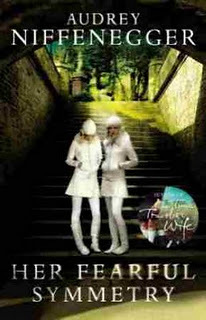 Hepzibah and Clifford were highlights in this gloomy novel. Wonderful passages detailed Hepzibah's unfortunate appearance and her descent to shop proprietor. Clifford's eccentricities and child-like behaviours also proved memorable, as did their tragic withdrawal from society. Despite these bright spots, The House of the Sevens Gables will not be counted among my favorites this year. A neutral to slightly positive reaction is all I can muster. I consider myself a patient reader, but this story took forever to develop. The 'action' occurred quickly and the mysteries were tidily resolved at the end. Based on previous experience with Hawthorne, my reaction came as no surprise. I disliked The Scarlet Letter in high school and, although a reread five years ago lead to greater appreciation, I still disliked it as an adult. I should have sworn off Hawthorne at that point, but the lure of a group read and a long standing curiosity about The House of the Seven Gables proved irresistible. Bottom line: I'm glad I read The House of the Seven Gables, but my classics to-be-read list is far too long to spend any more time with an author I don't love. I'm afraid we're through, Mr. Hawthorne. Thank you, Frances and Audrey, for hosting this group read. 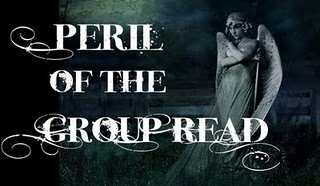 Other group read posts can be found here. 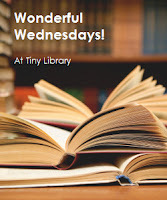 Wonderful Wednesdays is a new meme hosted at Tiny Library. Sam says it's "about spotlighting and recommending some of our most loved books, even if we haven't read them recently. Each week will have a different genre or theme." This week's theme is historical fiction. I enjoy historical fiction and have a developed a special fondness for novels set in Tudor England. When thinking about a couple of my favorites, I was struck by the wide range of styles this category encompasses. Wolf Hall by Hilary Mantel and The Other Boleyn Girl by Philippa Gregory both deal with Henry VIII's reign, but I'd be hard pressed to list other similarities. They are very different in both approach and purpose. 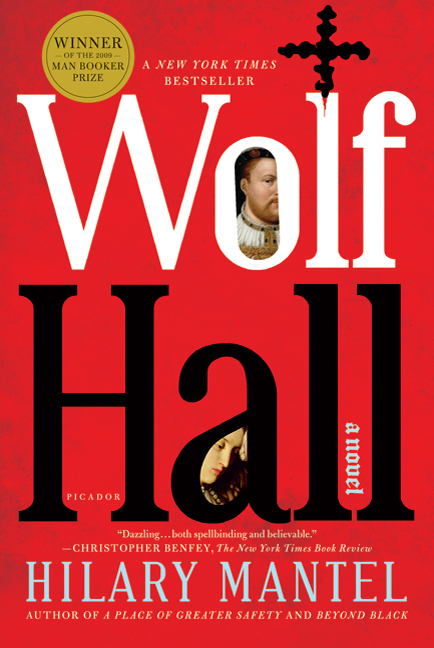 When I read Wolf Hall earlier this year (my thoughts), I referred to it as historical fiction for the historian. It is slow moving, involved, well-researched, and packed with historical detail. Mantel's award-winning novel focuses on Thomas Cromwell. Gregory's novel, as the title suggests, deals primarily with Anne Boleyn's sister, Mary. 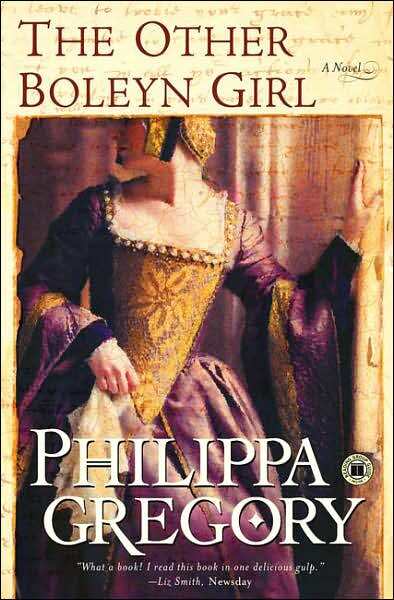 Read in pre-blogging days, The Other Boleyn Girl was a real page-turner. It presented the steamier aspects of Henry's conquests and life at court. I read it in just two or three days, but Wolf Hall required two or three weeks to complete. Both books held my interest, but served to satisfy very different historical fiction moods. Are you a fan of historical fiction? Do you have a favorite novel set in Tudor England? Visit Sam at Tiny Library for links to other posts on this topic. It's fall break. The house is full, activities galore are planned, and the kitchen is a hive of activity. My college-aged daughters are home until Tuesday and my husband has taken the week off. There wasn't much reading last week, but it was a good one nonetheless. The girls came home on Wednesday. One drove herself but, since the other doesn't have a car, I spent 7 hours on the road. Time passed quickly as I listened to Jitters: A Quirky Little Audiobook for the first part of the journey and got caught up with my daughter on the way home. Although the humor may not be for everyone, I'm enjoying this audio production. The audio "book" designation puzzles me since it was never actually published in print form. More on this after I've finished. I am also thoroughly enjoying 97 Orchard by Jane Zeigelman. Yesterday was all about football. It was Homecoming Weekend at the local high school, and they won big! In the evening, we went to my nephew's Homecoming Game. That one was a defensive struggle, but he scored a touchdown with 10 seconds remaining to send the game into overtime. Unfortunately, they ended with a loss. We got home in time to see the last half of the SU game on TV. A field goal in the final second broke a tie and gave Syracuse the win. Today we're off to the pumpkin farm. I also need to take a new header photo. With beautiful sunshine and leaves at their peak, today is the day! Hope you enjoy your Sunday. Thirty years ago two sisters, 11 and 15 years old, disappeared without a trace from a shopping mall and are presumed dead. Now a disoriented woman involved in a hit-and-run accident claims to be one of the missing Bethany sisters. The case takes on a new intensity as the mystery deepens. What the Dead Know moves back and forth in time before arriving at a stunning conclusion. 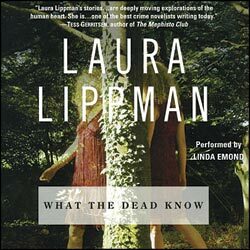 Laura Lippman's books are regularly featured on several blogs I visit. But it was Jill's reviews, along with the beginning of fall and the RIP Challenge, that finally prompted me to begin What the Dead Know. I got in my car, popped in the first few disks and before I knew it, almost four hours has elapsed! For the next several days, I could only manage to listen in 20 or 30 minute intervals and it drove me crazy. I HAD TO KNOW what happened! That night, I stayed up listening until 2AM. Thankfully it was a Friday, and the alarm didn't ring at the crack of dawn the next morning. This was a fantastic story! I won't go into more plot detail, but the inclusion of a colorful police detective, a bookish social worker, and a high profile attorney were all big pluses for me. I don't read many mysteries and may not be as discerning or sophisticated as other readers, but the resolution of this one took me totally be surprise. I loved this book. Musical interludes in an audiobook always seem to annoy me and this was no exception. Linda Emond's narration, however, was wonderful. Her voice was crisp and utterly engaging, but never melodramatic. I would jump at the chance to listen to her again. I loved this intro to Lippman's work and welcome any suggestions of what to read/listen to next. 97 Orchard tells the story of five immigrant families, each of them, as it happens, residents of a single New York Tenement in the years between 1863 and 1935. Though separated by time and national background, the Glockners, the Moores, the Gumpertzes, the Rogarshevskys, and the Baldizzis, were all players in the Age of Immigration, a period of sweeping demographic change for both the Old and New Worlds. Starting in Europe in the early 1800's, whole chunks of humanity streamed from the countryside to the cities - the continent's new manufacturing centers - in pursuit of work. Those who could afford to embarked on a trans-Atlantic migration, lured to the United States by the promise of American prosperity and freedom. 97 Orchard chronicles what became of those immigrants, but from a special vantage point: it retells the immigrant story from the elemental perspective of the foods they ate. This sounds fascinating! I've seen nothing but praise for 97 Orchard and plan to start reading later today. My book club will discuss the book in early November. What do you think? Is the topic of interest to you? Good morning and Happy October! It is a COLD and rainy morning in central New York - barely 40 degrees when I woke, but it probably dipped into the 30's overnight. We very nearly turned on the heat last evening, but opted for a fire instead. The furnace is a definite today! On the reading front, I finished The House of the Seven Gables by Nathaniel Hawthorne last week. After a rough start, it worked out well as a combination read/listen. Several readers will be posting thoughts on the 14th. There is still time to join us! 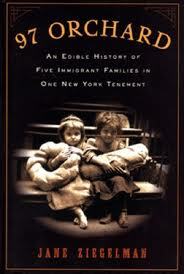 I had hoped to finish The Bluest Eye by Toni Morrison last night, but got sidetracked by the Yankees win over the Tigers. Morrison's writing it truly beautiful and, with just 30 pages to go, I should be able to fit it in between today's activities. I saw this reviewed on Rachel's blog last year and thought it sounded fascinating. Members of my book club agreed and we we will discuss it in early November. This book won the 2011 Audie Award for Multi-Voice Performance, a category I was certain would go to Room. The author generously provided a copy, and a long drive coming up on Wednesday will be the perfect opportunity to get started. Apple-picking is on our agenda today. The hourly forecast suggests a rain-free window early this afternoon. Since today is the last day to pick Cortlands (my preferred apple for baking), we'll bundle up and hope for the best. Later there will be plenty of baseball and football on TV, a family dinner, and, of course, some reading. What are your plans today?